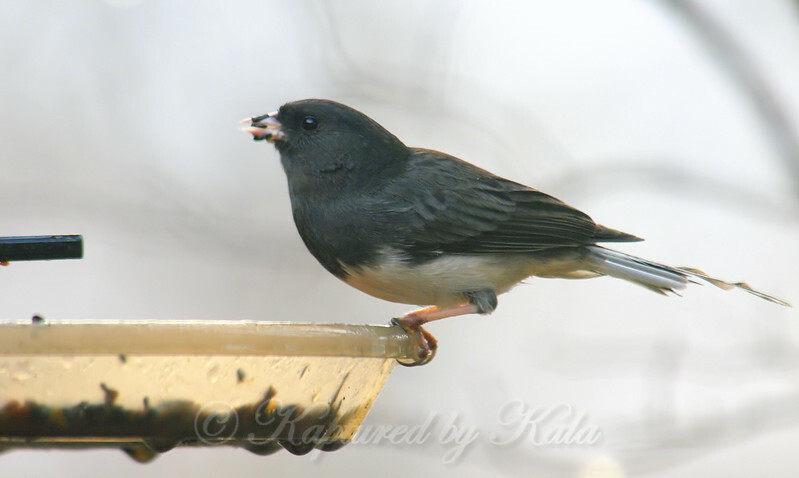 Male juncos are much darker than the females. This one was missing most of it's tail for some reason. Still, he was enjoying some birdseed on a wet cold winter day.